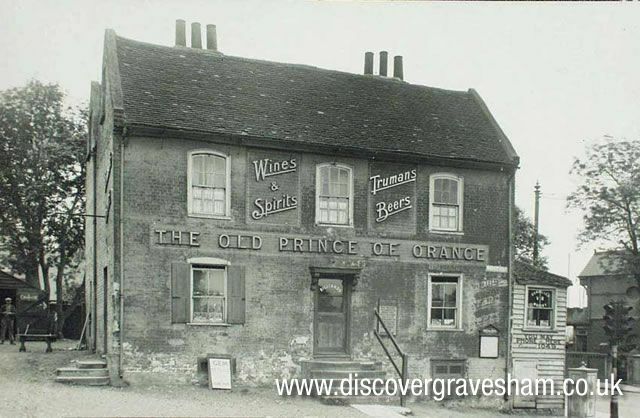 The Old Prince of Orange was originally a coaching in on the route to Rochester that went via Old Road East and the Rochester Road. The original building went back to the 17th century (1633). The building was demolished in 1933 when the present building was erected. A Historical Walk Through Gravesend and Northfleet published by Gravesend Historical Society pg 98/99 See publications page. Public Houses in Gravesham during the 1950’s and 60’s pg 22/23/24 and A Pub on Every Corner by Tom Baines pg 39.